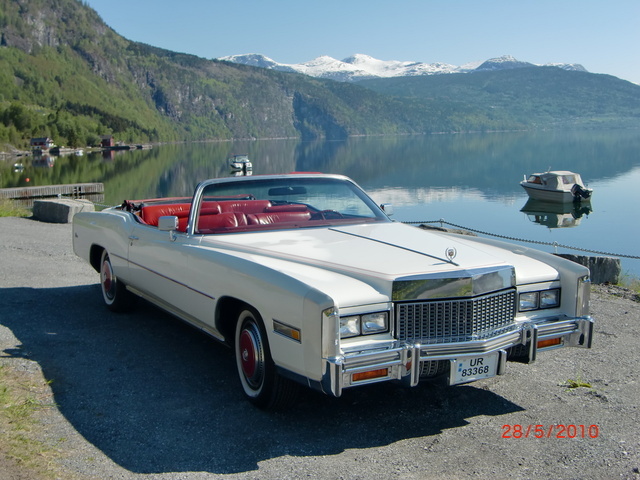 Have you driven a 1976 Cadillac Eldorado? 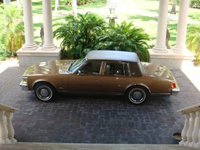 Displaying all 4 1976 Cadillac Eldorado reviews. Fun!!! — I love this car. I've had it for a long time and will never let it go. There is nothing like the 70's styling in my eyes. I love the size and comfort of the old cars. The car is solid and in my eyes never ages aesthetically. I would drive this thing every day if not in such a populated area. I love the acceleration and smooth highway ride. Of course gas is an issue now but sunny days love this car. 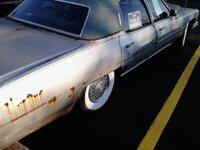 The Cadillac Eldorado — The Eldorado is an awesome car. It is as big as a cruise ship. The appearance is amazing, the exterior just radiates grandeur, while the interior just draws you in with its plush leather interior. With the top down all of your worries and stress just melt away, ow the joy of driving it. The only flaw would be the performance, the acceleration is comparable to a tractor trailer, while the braking can become frighting, and don't even ask about gas millage. But in the end the fun of driving a huge American land yacht makes you forget about the flaws. The Eldorado is simply put an amazing automobile.